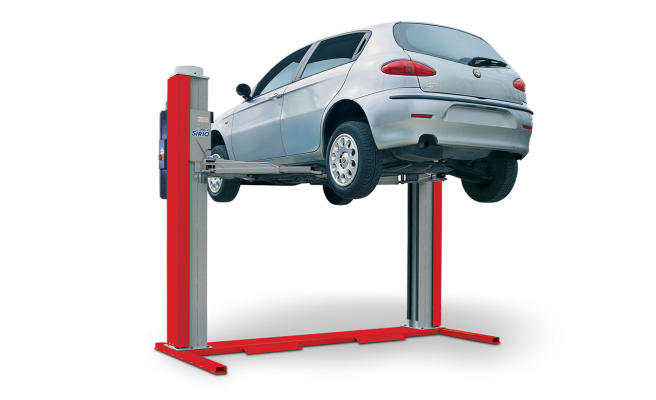 Exclusive lift with self supporting base – installation is possible on floor with poor surface anchorage. Tubular structure made of 5 robot welded sections, nothing sturdier in the world. Exclusive lift with self supporting base-installation is possible on floor with poor surface anchorage. 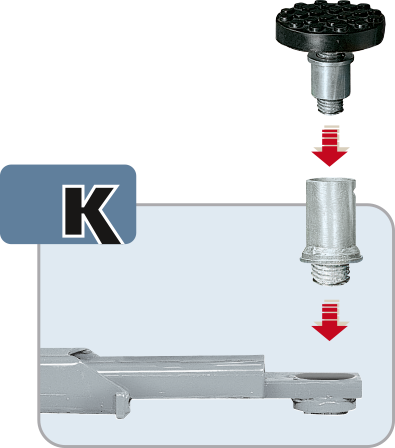 Shaft transmission between posts through oil filled conic gear boxes requiring no maintenance. 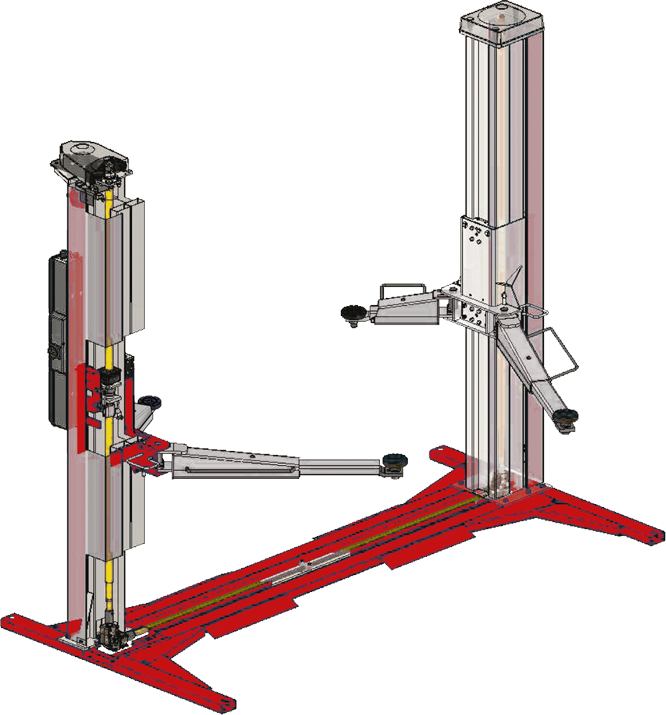 Three-stage short arms and two-stage long arms provide asymmetric lifting of vans and off-road vehicles-width between posts 2650mm.